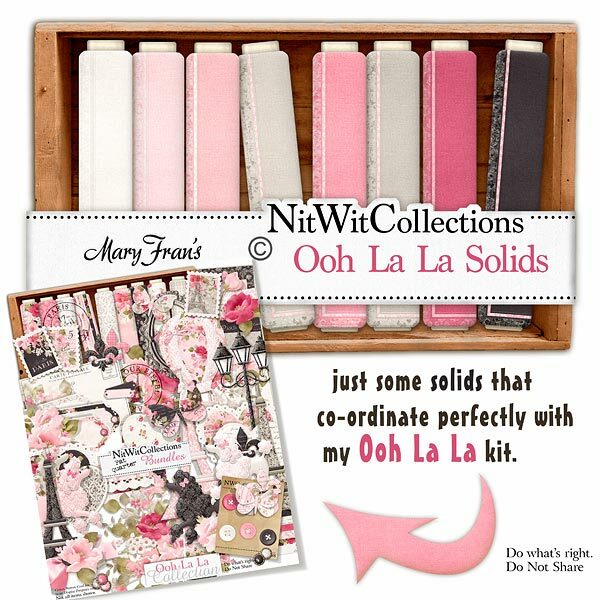 "Ooh La La" Solids provides you with the coordinated solid papers for you to craft with. The elegant edge border on each paper flows well with the feeling of this Collection! These digital papers are NOT included in the FQB "Ooh La La" Collection so please don't miss out!